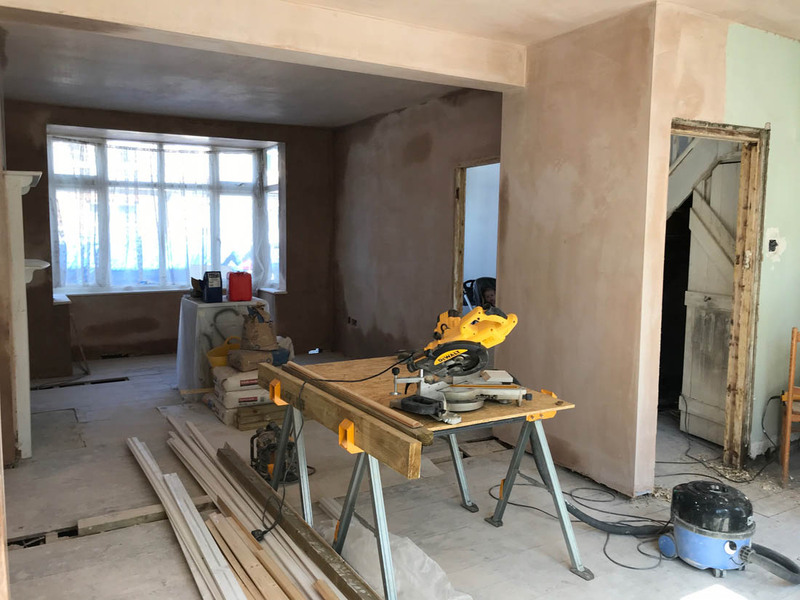 The main progress over the last couple of weeks has been installing the steel between the receptions rooms, replacing the window lintels in the bedrooms and the plaster boarding and plastering throughout the upstairs and downstairs. A lot of upstairs has been painted so it all looks very different now with the bare brick gone. 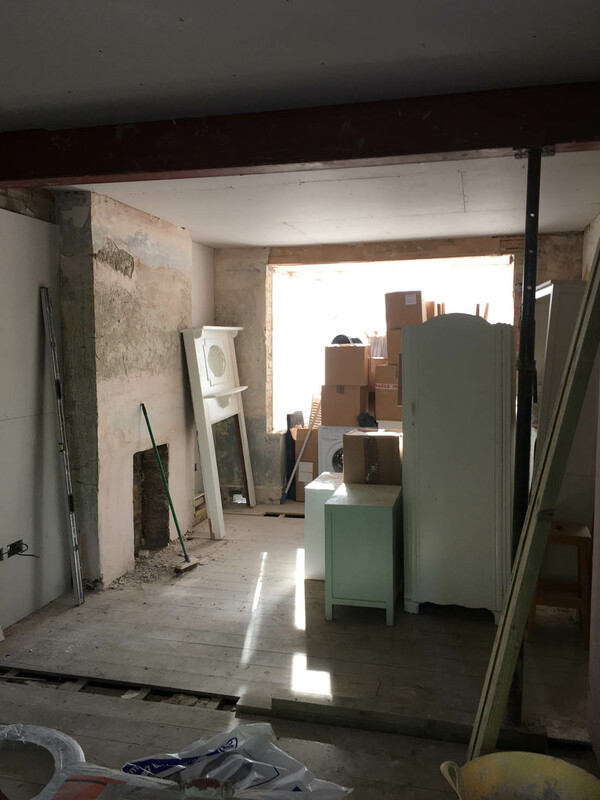 The steel is now in so we officially have an open plan living/dining/kitchen space. 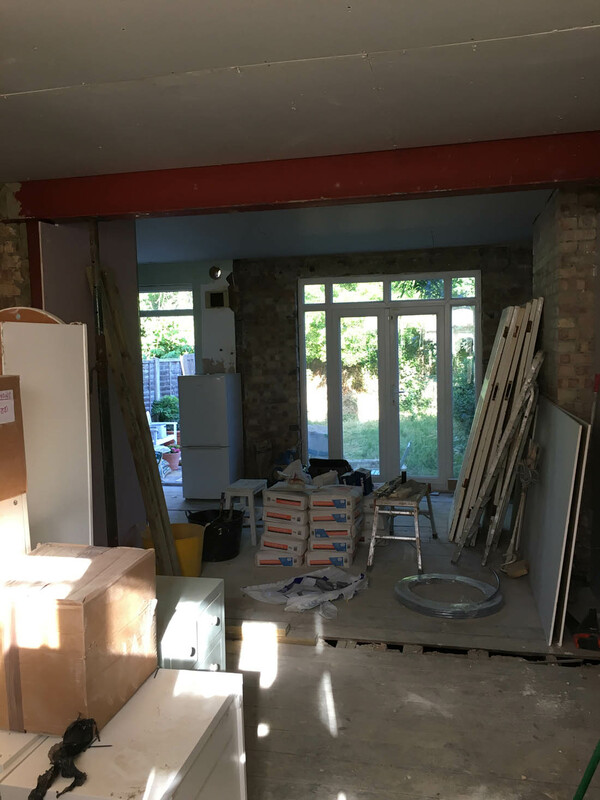 These images show either side of the reception rooms. Jules took these pics in the evening and as it is a south east facing house we get the evening light through the front of the house. 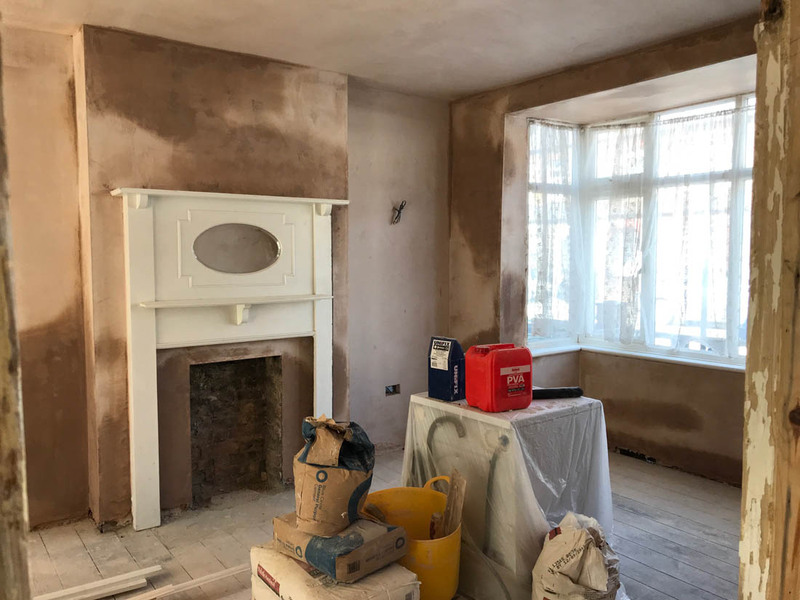 The fireplace surround has been installed (we will add tiles – I haven’t chosen them yet) and I think it works pretty well in the space and adds the character of the period that I want. I am really trying to avoid the ‘new build’ feeling. 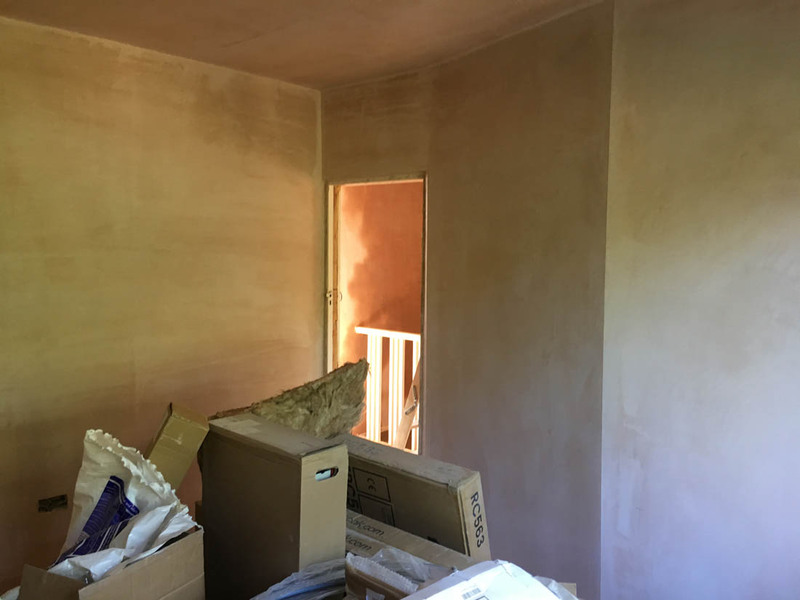 Upstairs the plastering has also been done and they’ve done a brilliant job of it – it shines it is so smooth! I am always tempted when I see fresh plaster to leave it as I love the warm tone of it so much. 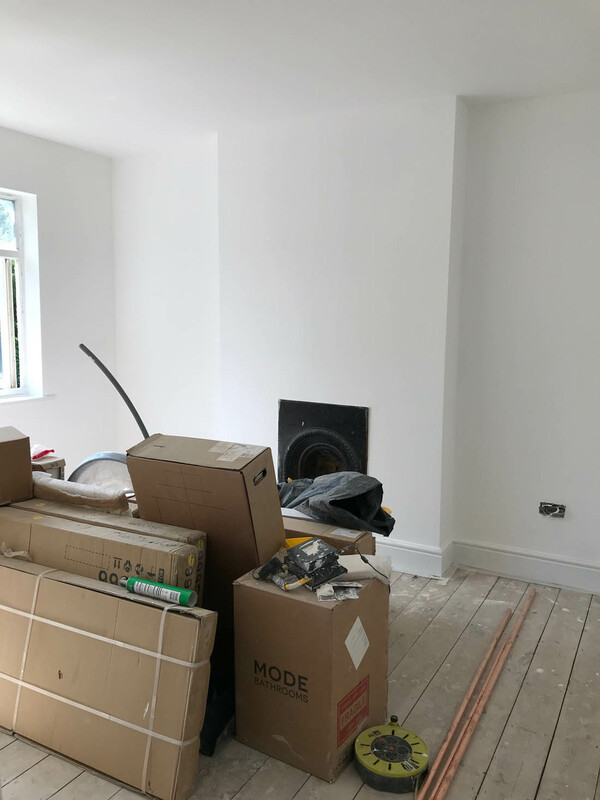 However, last week the painting began upstairs and I can see how much bigger the space looks and feels with white walls. 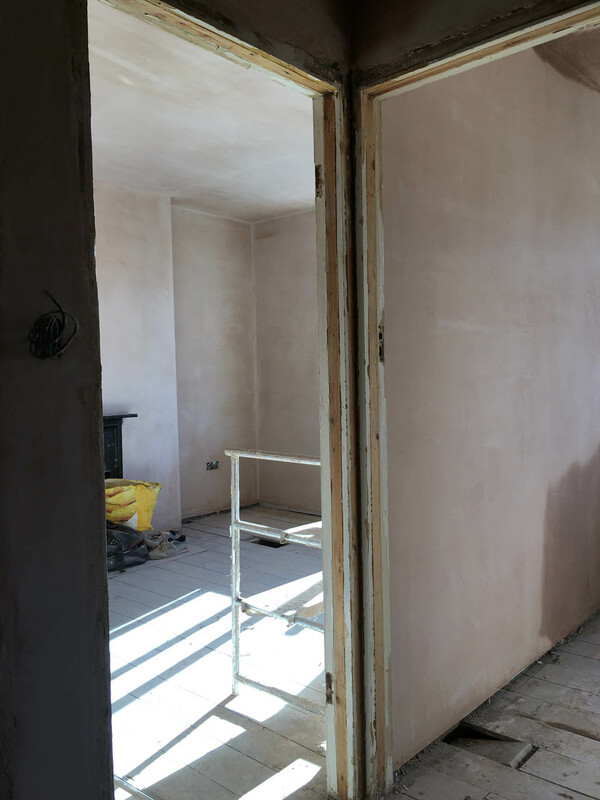 The skirting, architraves and picture rails are also going on as we speak and the original doors have been sent off to be dipped ready for painting. I’m honestly quite gobsmacked at how much has been achieved in just four weeks. 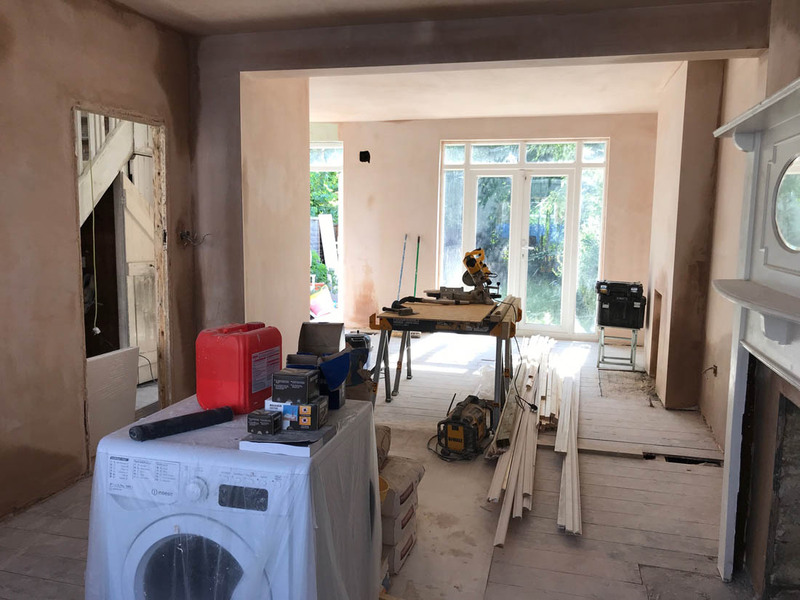 The next big job is the bathroom so I’ll keep you posted on that and Jules has taken the week off work to sand and finish the floorboards. He’d better do a good job of it! Ps. I love your cellar door!